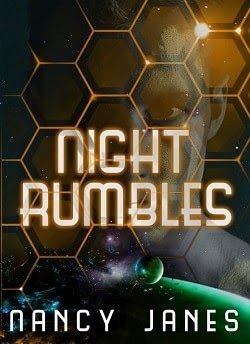 Today we are interviewing Nancy Janes, author of the sci-fi/fiction novel Night Rumbles. Nineteen-year-old Brad wakes up in a foreign world with no memory and finds himself surrounded by hostile forces. Can he survive—and will he ever make it home? I am a Psychotherapist, retired to writing full-time. Books and writing have been a part of my life since I learned my ABC’s at five years of age. A science fiction/fantasy based on a plot to out wit an evil tyrant. If events forced one to confront a malevolent reality that required a decision to yield or to defy, what would be the decision? Science fiction and fantasy readers who like books with a underlying message. How did you first come up with the idea for the story’s plot? I wrote the first book The Boy Who Walked A Way as a book of Light, centered on the peaceable kingdom. Night Rumbles is a book of darkness, the kingdom of the night, with humorous overtones, based loosely on the first book. One of the themes throughout the book is faith. What inspired you to incorporate this theme into the book? Faith is a basis of life. Each of us chooses which one it will be whether a secular faith, one grounded entirely in this world with other humans as the final authority— gods, or a spiritual faith grounded in a belief in other worlds that encompass this one with a god who rules all. My Faith is Christian. Brat. He was a survivor and mastered his, seemingly, hopeless circumstances. The book gives a sense of encouragement, hope and belief in oneself even if the situation seems impossible to navigate. I’m writing a book of short stories presently based on ordinary people who experience troubles in their every day life. It’s a book on choice, acts and the consequences of the actions.